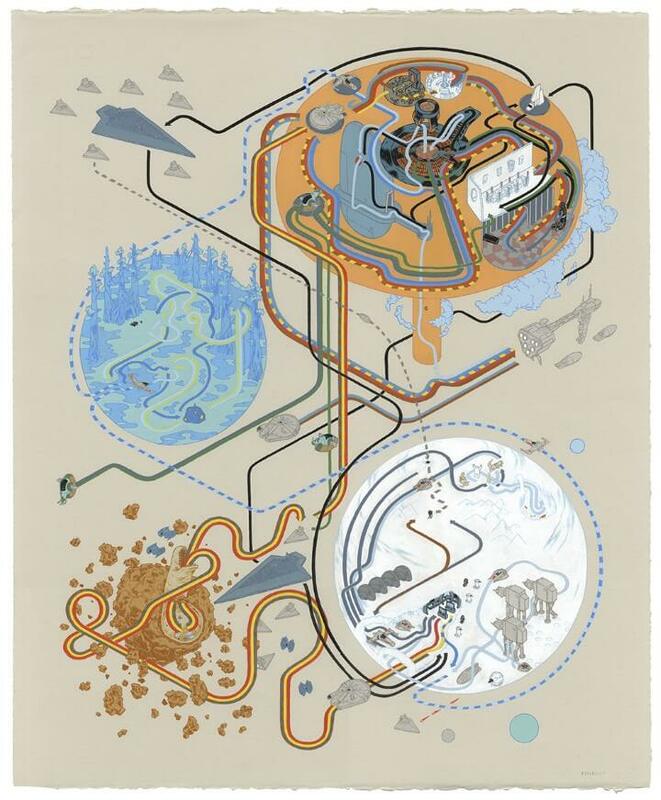 The 3 Star Wars maps presented here are possibly some of the coolest and most original maps we’ve ever featured. 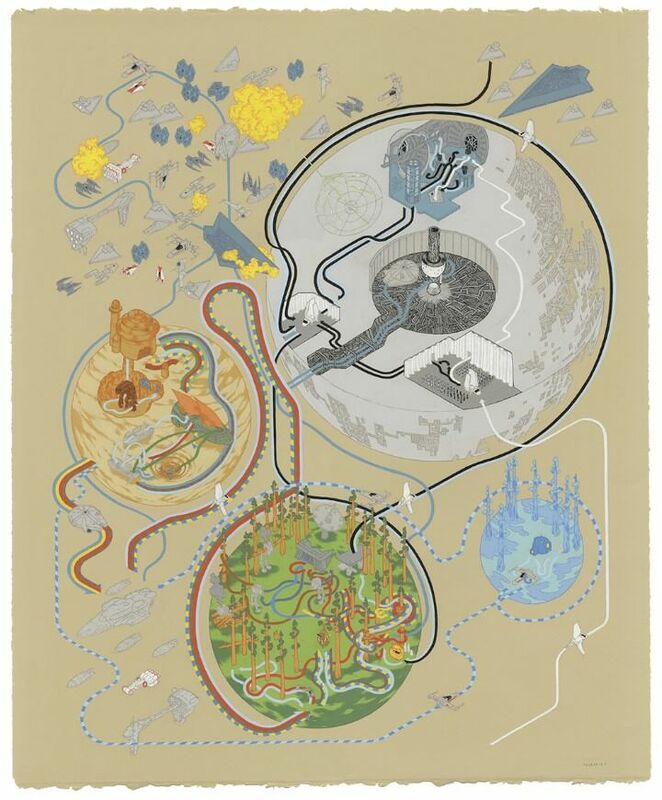 They are the brainchild of freelance illustrator and artist Andrew DeGraff. Each map shows the paths of the major characters in each of the original Star Wars trilogy films. You can learn more about the Star Wars maps here. 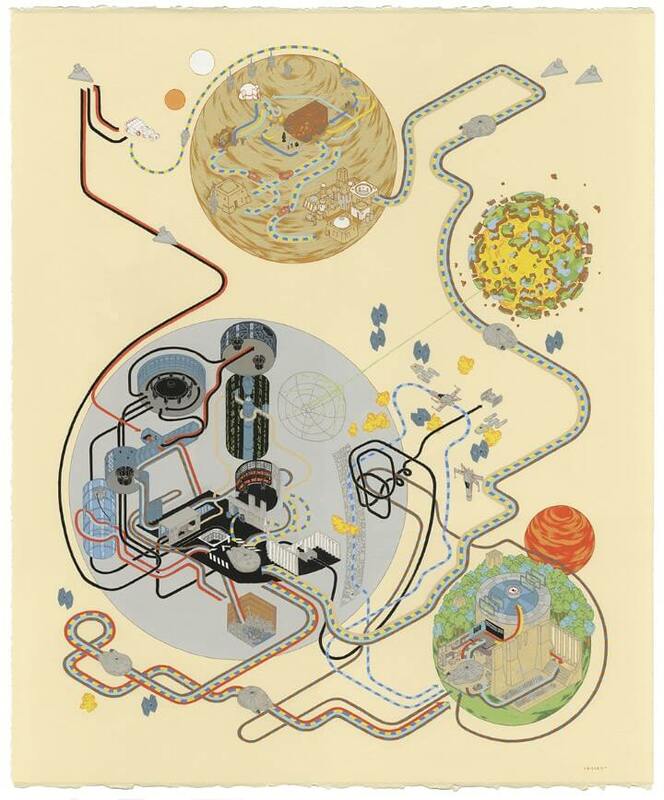 Unfortunately Andrew does not seem to be currently selling prints of these maps, which is a shame, since I think there would be a huge demand for them. You can also see his other movie maps here.